Spend your summer studying at one of Europe's most prestigious English language and creative Summer Schools, right in the heart of London. 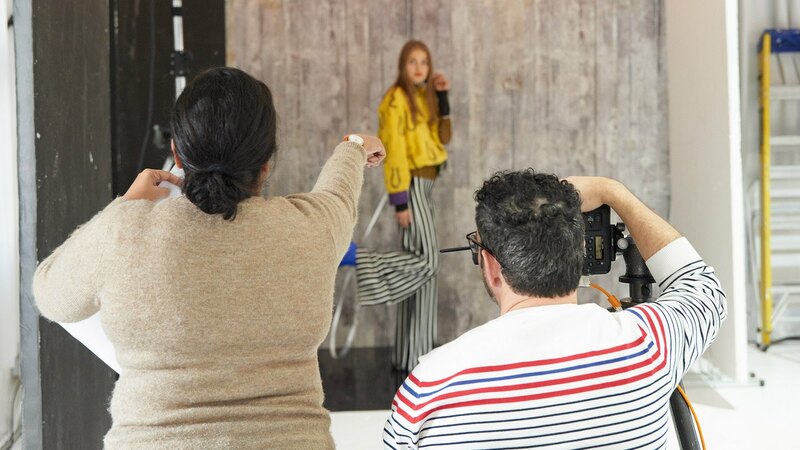 Learn or develop your English skills alongside an exciting range of top level industry-linked creative disciplines including fashion, makeup and photography taught by leading tutors and experts in their fields, available as a three-week programme for 2019. Find out about the programme structure, including credits and certification, on the Programme Overview tab. The LCS Summer School programme is taught at at Diploma level accredited by the BAC. Students are expected to follow lectures and participate in immersive masterclasses at a further education level. Find out more on entry requirements and the application process on the Entry Requirements tab. To apply for the LCS Summer School, please complete the application form below. Students are expected to attend English Language classes and participate in immersive masterclasses at a further education level. Fashion and beauty industry-linked field trips. In 2017, we welcomed over 100 students studying over one or more of our two Summer School programmes. Although our largest regions include the United States, Western Europe, India, South and East Asia and Australia, our students represented a total of 11 nationalities. Some of the top colleges we receive students from include IED Italy, ES Mode Paris, Parsons New York, Pearl Academy, Fad International, FBI Fashion College Australia. At LCS we welcome students of age 18+. The average age of our students is 20 with 86% of them under the age of 24, however we also welcome postgraduate and professionals to study with us. Find out more about some of our students and their experiences on our Testimonials page. Monday to Friday. This is a full time programme with a minimum of 25 contact hours per week. All students are expected to complete a programme application at the bottom of the page. Please see the ‘After Acceptance’ FAQ page. Discover what it’s like to live and learn in our capital city in a truly international environment as you make friends for life. LCS campus is located in the heart of one of the world’s greatest capital cities, with many places of interest within easy walking distance. You can find out about some of our highlights on campus by reading our Explore LCS Summer School prospectus. Once enrolled students accept their offer, you will have access to our Welcome to Summer School pages which provides information for students to help them fully prepare for their time in London. LCS doesn’t manage accommodation for our Summer School students, however we have established relationships with several trusted and reliable sources for accommodation. The student experience team will recommend a range of options in the months leading up to Summer School. Students are expected to arrange their own accommodation and may stay wherever they wish. However, accommodation in London can be expensive and quite hard to find as a major tourist destination. In terms of value for money LCS recommended accommodation list includes some of the more affordable options. Although London can be an expensive city, with careful planning and budgeting it’s definitely possible for students in London to take advantage of all the amazing opportunities the city offers, while still living within their budget. When preparing to come to LCS, it’s important to consider all living expenses including: accommodation, travel, food, laundry, study costs (reading materials are included in Summer School), and other personal expenses. These will vary depending on lifestyle and requirements, so it’s important for students to do their own research, investigate possible sources of funding and income, and create a budget. Although our primary focus is providing world-class education in a vibrant engaging learning environment, we want to ensure that our students make the most of the time spent with us at the LCS. We offer a wide range of social activities, solely for our students. We also run an official students’ Facebook and WhatsApp groups. We hope that in doing so we are able to provide our students with an opportunity to experience something new and exciting in London, and a chance to meet other students and form friendships. London is a very safe place but like any big city, it’s worth taking sensible precautions. Once enrolled students accept their offer, they will have access to our Welcome to Summer School pages which includes safety information for students. Visit London also provides an extensive safety information for tourists to the city.